Colour: A beautiful deep purple colour. Nose: Intense notes of red fruit on the nose with a touch of spice. 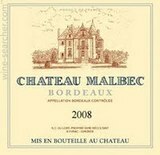 Taste: Smooth and silky on the palate with flavors of red and black fruits. Appealingly fresh.